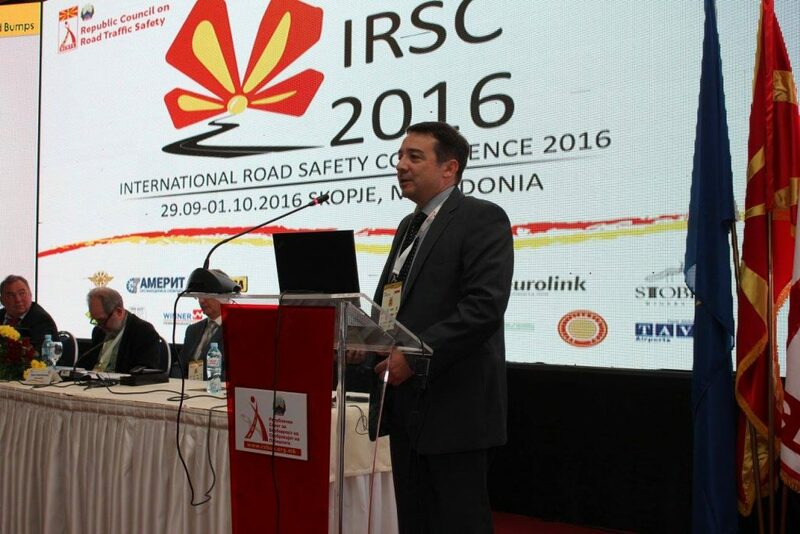 IRSC 2016, International Road Safety Conference, a successful story. 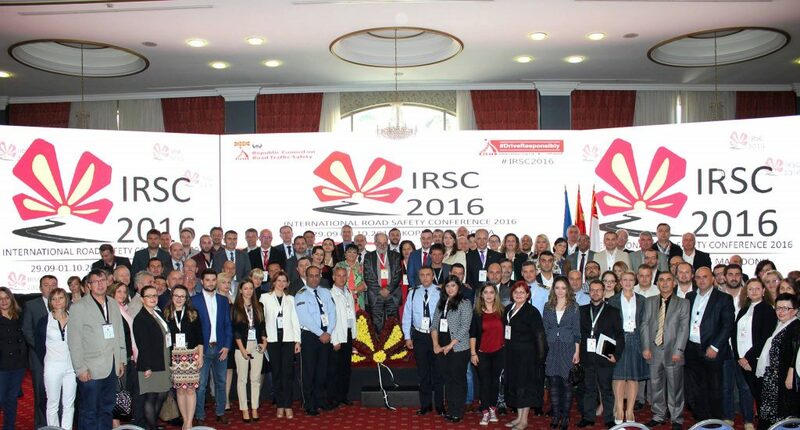 29.09-01.10.2016, Skopje was host of this Conference. The event had one main goal: Managing the traffic safety as a challenge of each modern society. Our participation in the Conference captured the attention of the visitors. We successfully presented our idea and prototype whose main goal is safer streets. 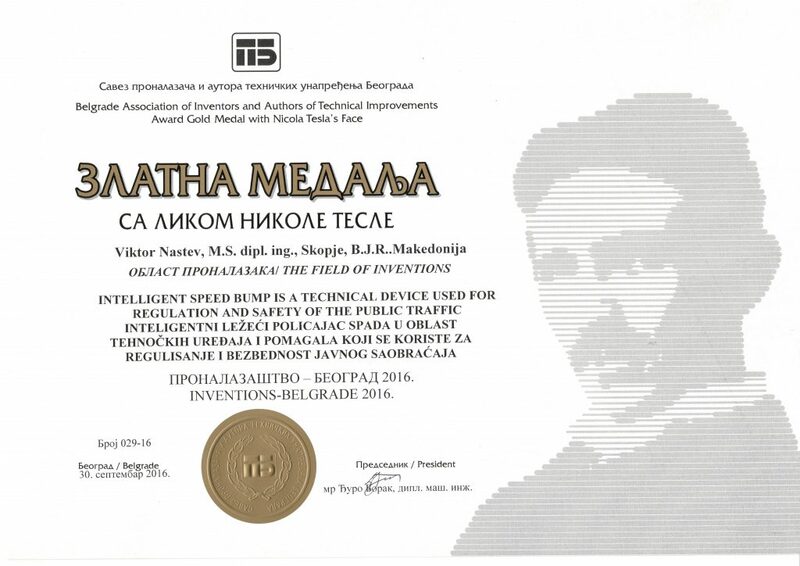 In September our team had an outstanding opportunity to participate in the international event: Inventions Belgrade 2016, organized by Belgrade’s Association of Inventors and Authors of Technical Improvements, we were awarded a Gold Medal for our innovation, the Intelligent Speed Bump, or SmartBump as we call it. It’s always great to get acknowledged for your work, but what makes this award special to us is that is in honor of the greatest inventor who ever lived, Nicola Tesla. Technoinvent is part of Technoma – 42nd International Fair of Metallurgy, Electronics, Energy, Non-Metals, Construction, Security and Protection. It will be our pleasure to meet you there. Come and see us! Smart Bumps – For safer streets!